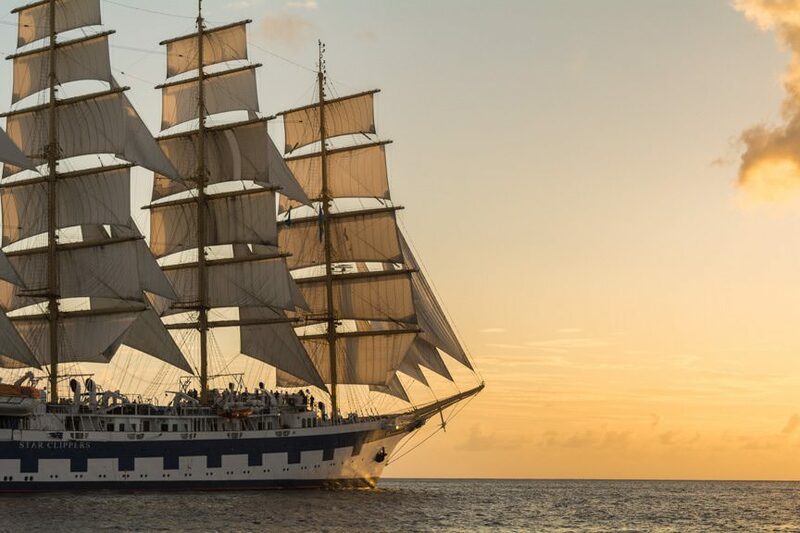 Sailing Star Clippers’ Royal Clipper in the Caribbean was like stepping back in time, but without giving up any of the modern cruising amenities I’ve come to know and love. On the one hand, there was the 227-guest Royal Clipper – the largest square-rigged sailing ship ever built, recognized by the Guinness Book of World Records and admired by those who see her gracefully sailing past. And sail she does; in a week, we only used the ship’s diesel-electric propulsion a handful of times. The remainder of the time, we operated under full sailing conditions. 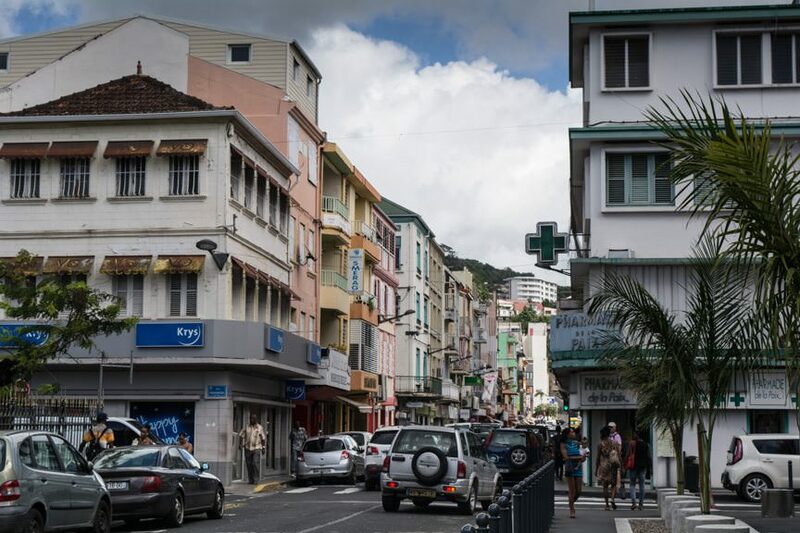 Even our off-the-beaten-path ports of call were a throwback to a different kind of Caribbean; the Caribbean that’s very different from megaship cruise ports like St. Thomas or Grand Cayman. 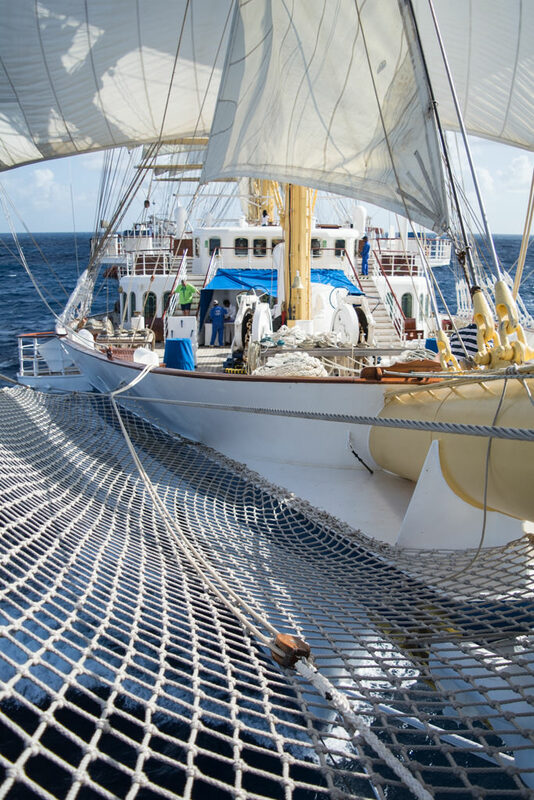 Quiet, laid-back and sometimes completely uninhabited, ours was a journey through a Caribbean rarely seen – sailing on a ship that is truly a one-of-a-kind beauty. For such a small ship, Royal Clipper sure packs a punch. It’s also loaded with unexpected features, like a four-story atrium topped with a reinforced glass skylight that acts as the bottom of the midships swimming pool. Then, there’s Captain Nemo’s Gym and Spa with its undersea viewing portholes that look out into the briny deep. 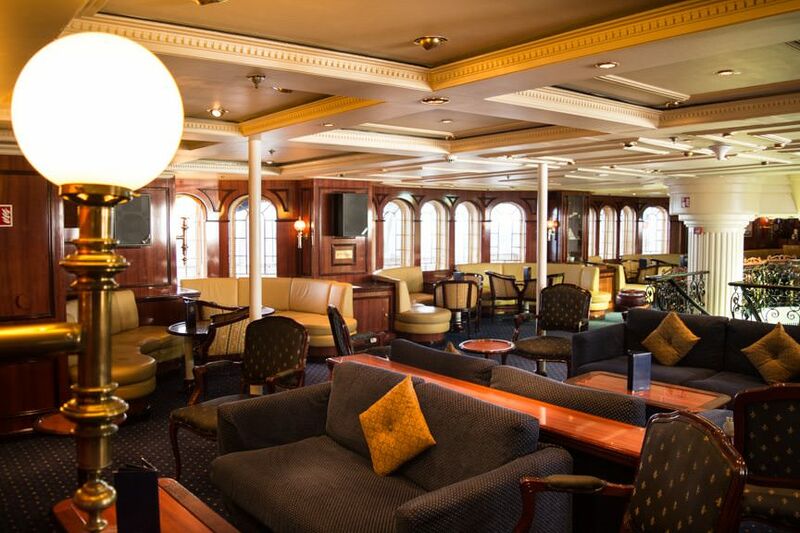 Other public rooms include a wonderful, purpose-built Library situated in its own deck house just aft of the Tropical Bar and the warm ambiance of the Piano Bar, with its attractive wood panelling and open centrum overlooking the ship’s central atrium. 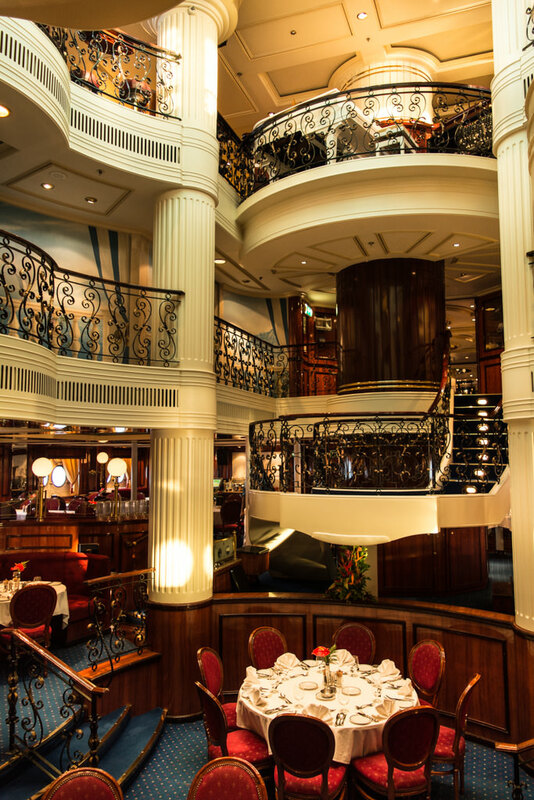 Finding a seat is never an issue aboard Royal Clipper, and the Piano Bar is no exception, whether you’re looking for a quiet place to read or an evening nightcap. 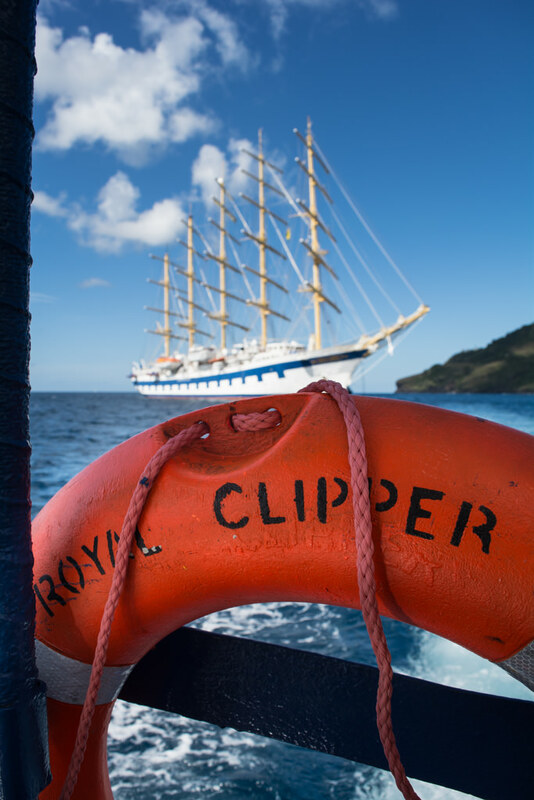 Of course, the real attraction with Royal Clipper is her sails. She’s the largest full-rigged sailing ship to be built in more than a century, and the only current ship of her kind sailing regular itineraries. 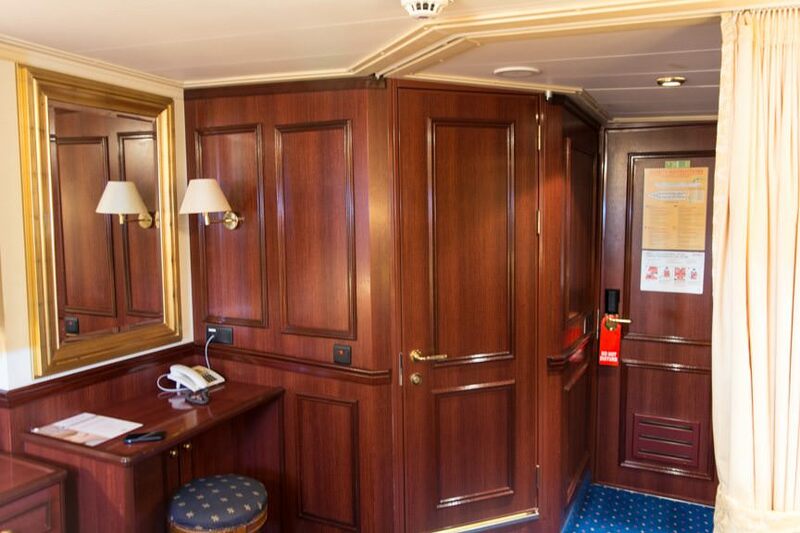 I loved my Category 3 Stateroom on Commodore Deck, and I’d recommend choosing one near the bow of the ship, where the decking slopes attractively upward. It also puts your porthole windows out of the way of the ocean, which can have a bit of a washing-machine effect at the lower levels during rough seas. With a queen-sized bed, a desk, small dresser and a full-sized wardrobe, these rooms are surprisingly well-designed. Lighting – often a weak point in many staterooms – is better than you’d expect, with multiple light sources that can be independently controlled. A curtain can be pulled across to separate the main sleeping area of the bedroom from the bathroom and entryway corridor. 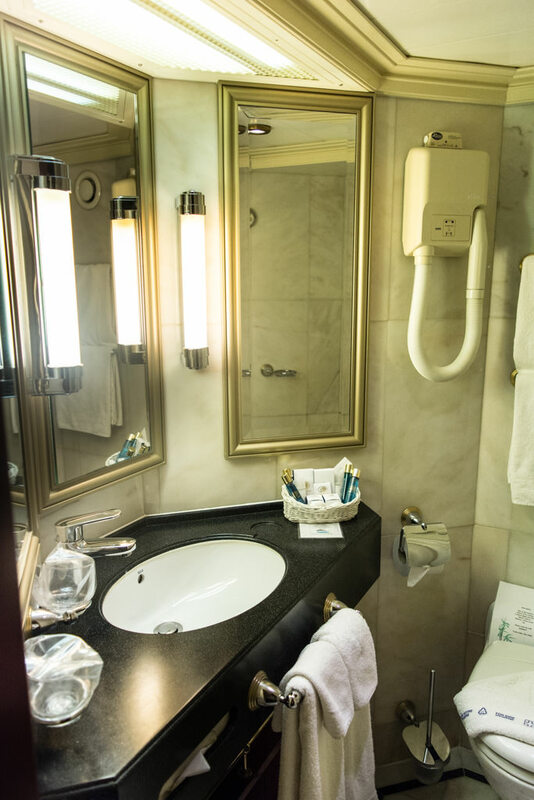 Some guests were bothered by the fact that the water sloshes out of your stateroom shower and onto the main bathroom floor even when the ship is moored, but I wasn’t bothered by this. The bathroom scuppers (drains) take care of the excess water, and made it feel more nautical. 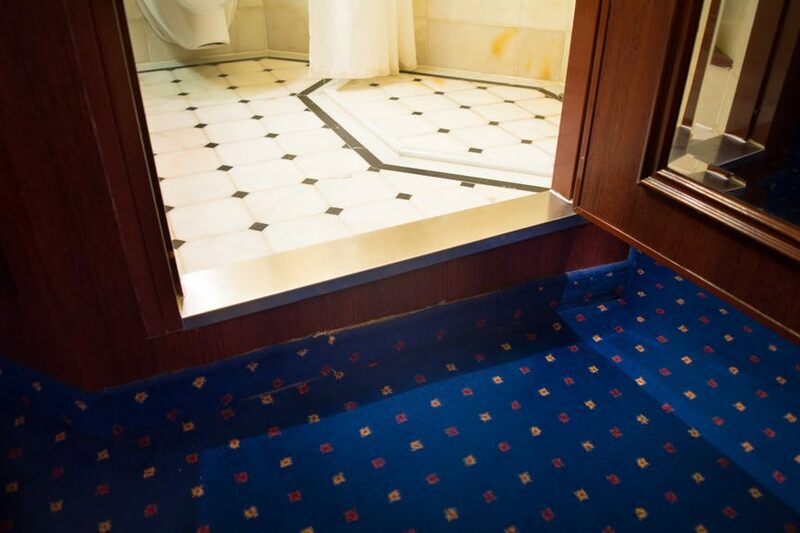 For those with mobility issues, place your towel on the floor: it’ll get soaked but it will make the somewhat-slippery marble surface more durable. In this age of balcony staterooms, I loved the look and feel of my oceanview room so much that I’d return to the room in the afternoon just to quietly read a book in the wood-panelled surroundings of my own berth, listening to the water lapping idly outside. 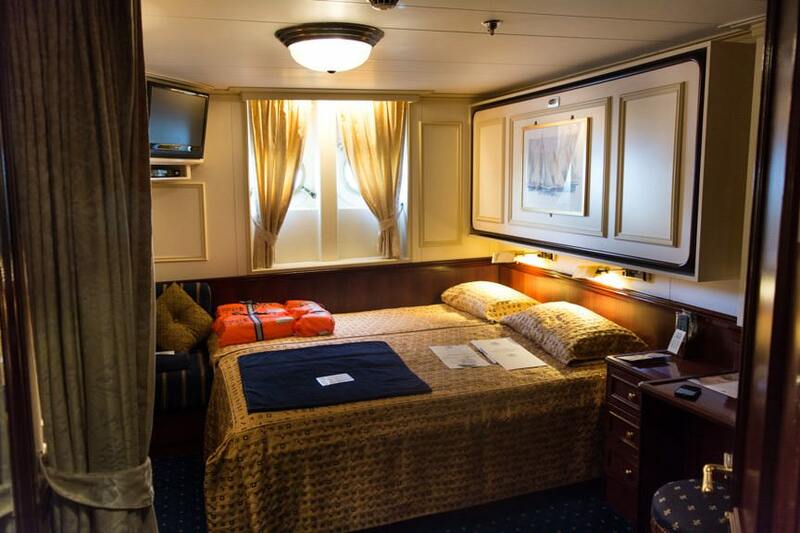 One of the better oceanview staterooms I’ve had on any ship. If you’ve been to the big-name Caribbean ports of call so many times it makes your head spin, Star Clippers has just the thing for you. 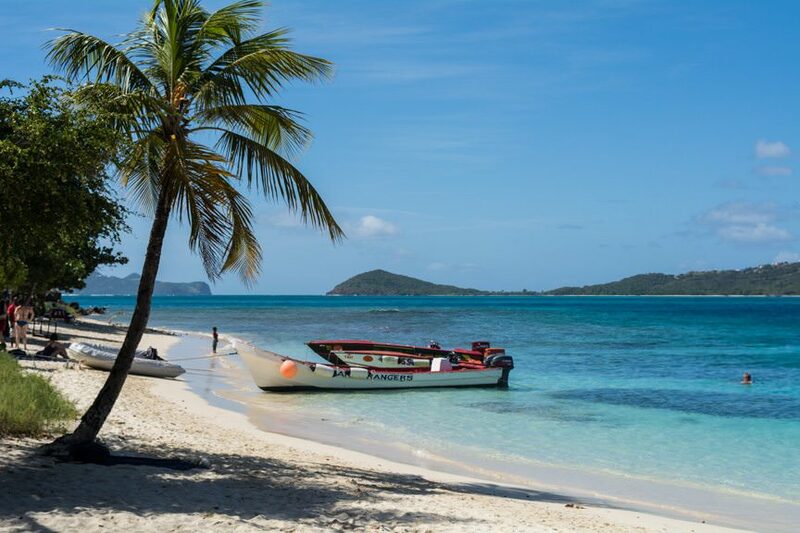 Departing from Bridgetown, Barbados, this trip eschewed the mega-ports like Nassau and Philipsburg in favor of smaller, off-the-beaten-path places like Fort-de-France, Martinique and the gorgeous Tobago Cays. Quintessential and largely unspoiled, this is the Caribbean as it used to exist. Top-notch all the way. This has been one of the most difficult cruises for me to critique. 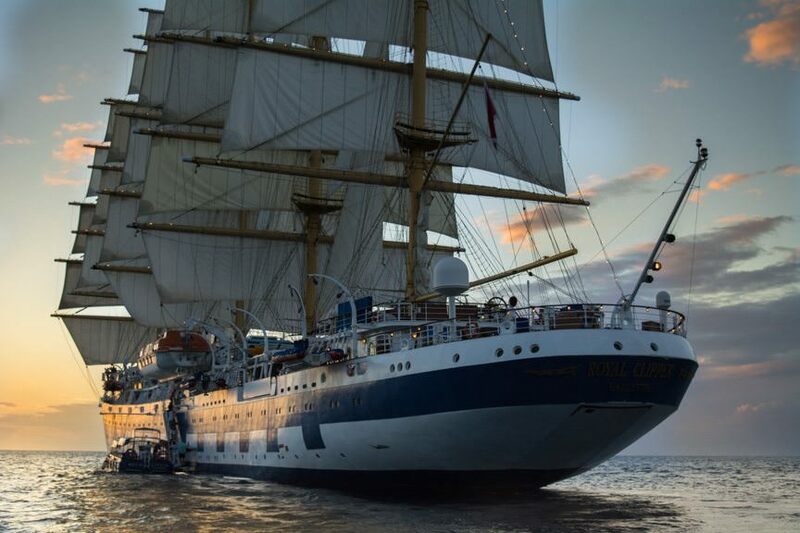 On the one hand, I fell in love with the grand, elegant Royal Clipper, which impressed me at every turn and brought back a kind of oceangoing travel that was on the verge of dying out completely until Star Clippers founder Mikael Krafft brought it back to life. I was also enamoured with the itinerary: If you’ve been to St. Thomas so many times you could scream, you’ll both love and appreciate the unique itineraries that Star Clippers crafts in the Caribbean. 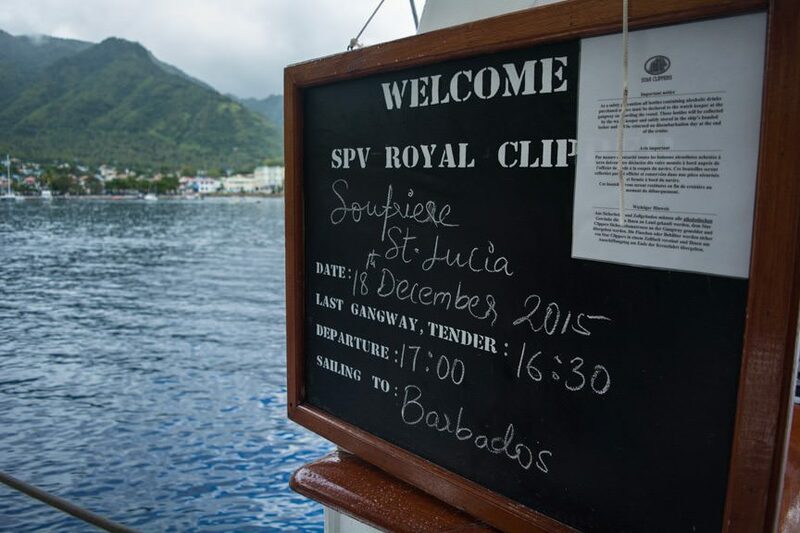 Even on larger islands like St. Lucia that are regularly visited by mega-ships, Star Clippers chose to anchor off less-visited Soufriere instead of the most common (but out-of-the-way) port in the capital, Castries. But Royal Clipper is a hard-sell for me in some respects. 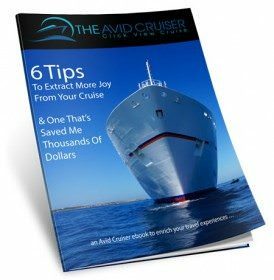 As a Canadian, I find it tough to recommend a ship sailing in North America where the onboard currency is the euro – which, as of this writing, is 1.6 times higher than the Canadian dollar. Residents of the United States fare much better, with an exchange rate that’s nearly at par – until your bank or credit card company gets ahold of it and adds foreign conversion fees into the mix. 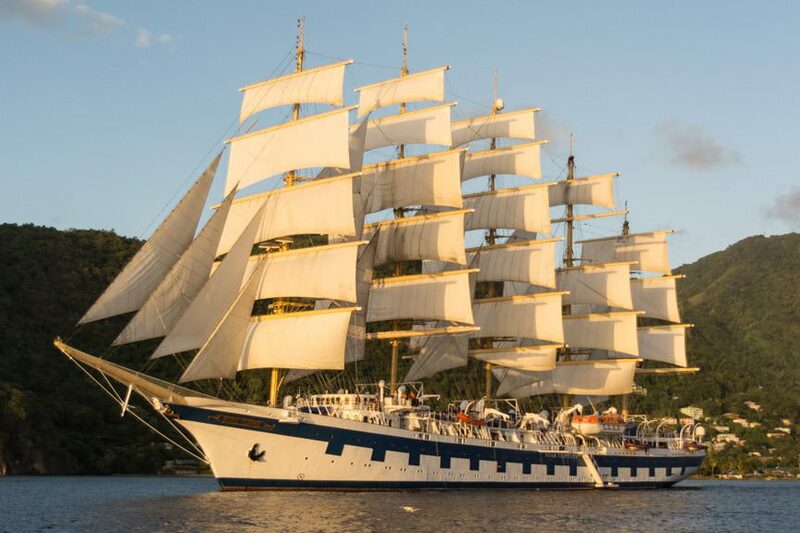 I’d love to see Royal Clipper put onboard costs in U.S. dollars while sailing the Caribbean, but I recognize that may not be possible. Some of my interactions with various crewmembers were also disheartening. I don’t know if that’s a result of the upcoming (and no doubt stressful) Holiday Season, or if they were worn out, or if they were just having a bad week, but more than a few of the staff I encountered gave curt, unhelpful or downright rude answers to basic questions. For a ship this small – and a product at this price point – I found myself disappointed in the overall service. The positive: That’s something that can be easily remedied, and that I include here only as a cautionary tale. You’re looking for a classic sailing experience without sacrificing modern cruising amenities. You have an interest in port-intensive, off-the-beaten-path itineraries. You’re a beach lover; Star Clippers is big on the beach day concept. The thought of taking a huge mega-cruise ship doesn’t appeal to you. You’re easily prone to seasickness. Without stabilizers, Royal Clipper can move around quite a bit. You dislike adhering to a schedule. 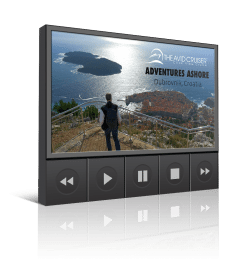 Many of the activities onboard like snorkel gear handout, meal times, excursion information hours, and even the onboard gift shop operate on strictly regulated timings that aren’t always communicated outside of the printed daily program. You’re looking for an American-centric cruise. Onboard expenses on all Star Clippers ships are payable in Euros (€), and the vast majority of your fellow guests will hail from Europe and elsewhere. You demand personable, deferential service. Service levels onboard our sailing were very uneven. Would I do it again? 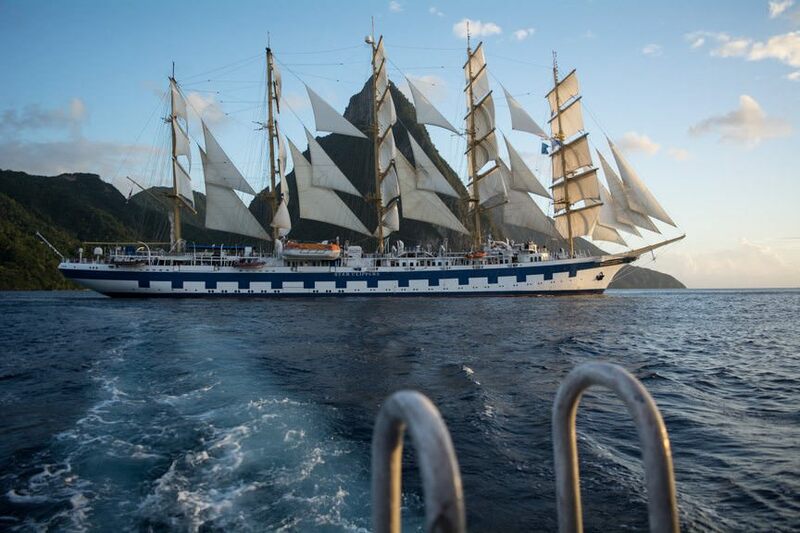 Yes – on the strength of the ship alone, the phenomenal quality of Star Clippers’ itineraries. This was a journey with some definite rough edges, but what an unforgettable journey it was.